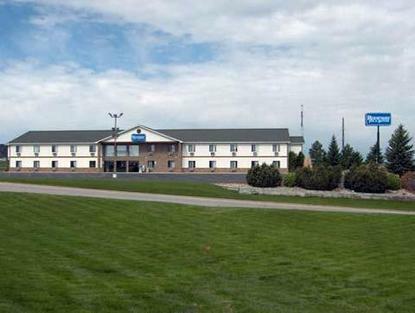 The Spearfish Rodeway Inn & Suites has a lot to offer. We have an indoor pool and hot tub. Free guest computer, free continental breakfast and the coffee is always on. All rooms have pillow top beds, free high speed wireless Internet access and free local calls. Some rooms have microwaves, refrigerators/freezers, in room coffee makers and irons. We feature double queen rooms and also offer one room king suites with a sofa bed for relaxing. Guest laundry and adjoining rooms available. The hotel has plenty of free parking and dining is just across the street. Rapid City Regional Airport is just 55 miles away with more places to see and visit in the area.